NASA's Curiosity Rover has successfully drilled into and extracted a sample of Mars Clay. NASA's Curiosity Rover, launched in 2011, was sent to Mars with the location site set as the Gale Crater. It has now successfully drilled and extracted clay from that crater. This is a huge step into exploring more of what Mars is. Curiosity team member Scott Guzewich wrote in a recent mission update, "This is a moment that the mission has been waiting for since Gale Crater was chosen as our landing site." "Don't let your dreams be dreams. I finally got beneath the surface of those clays. Science to come," Tweeted the @MarsCuriosity Twitter account. "Certain minerals, including some Curiosity may find in the clay and sulphate-rich layers near the bottom of Gale's mountain, are good at latching onto organic compounds and protecting them from oxidation," says NASA. "We are continuing the sequence of drill activities at Aberlady. We will be collecting APXS of the dump pile with two offset observations to better understand any composition variations, which are hinted at by the colour variations observed in the drill fines." says NASA, referring to the clay the rover has collected. They continue on to say "Many of our remote sensing activities were designed to characterise the composition variability of the bedrock in this region." You can read more about this in the latest post on the Curiosity Rover's Status Page, found here. 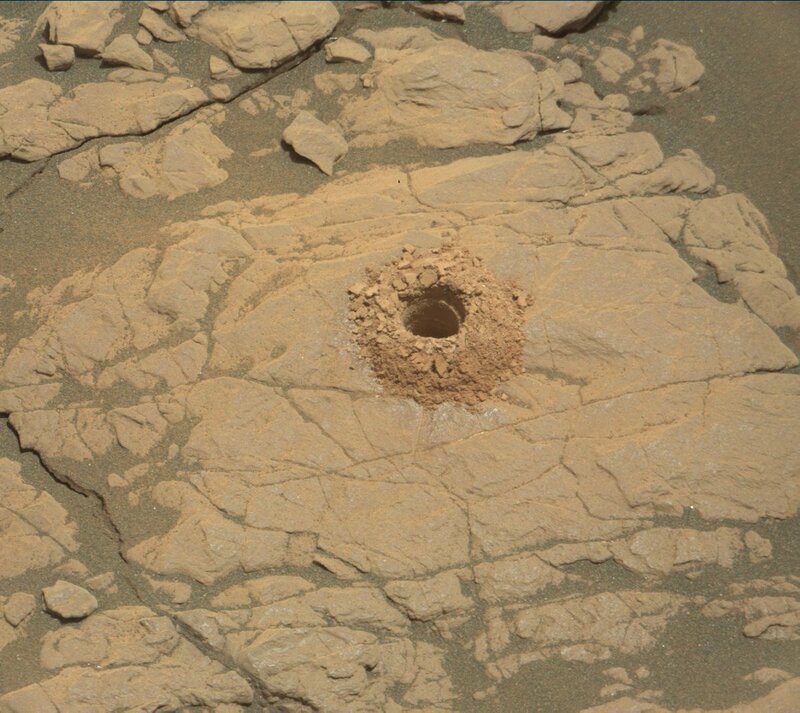 Curiosity will explore the drill hole and the clay to figure out the composition of the rock powder and to learn more about this area's past. This will also allow NASA to know if there truly was a water like substance in this area.